These home theater sectionals provide a unique comfort zone to help you recline, relax and enjoy your home entertainment center. Spend some quality time with your family and friends for memorable movie nights, epic game days and legendary video game marathons, relaxing on this Home Theater Seating Unit. The ultimate in contemporary home theater seating, you can have 2, 3, or 4 leather power recliners with generous amounts of CA117 fire retardant foam padding in the back and seat. The seat back has an integrated headrest for extra comfort. 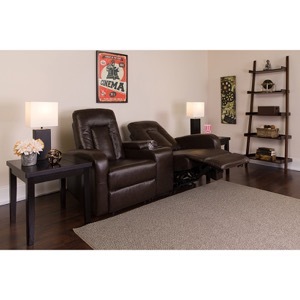 This recliner unit has 2 double cup holders for your favorite beverages, and 2 storage consoles for remote controls, magazines and game controllers. Plastic floor glides protect your floor by sliding smoothly when you need to move it.When you have home theater seating, you can make every game day an Event and Banquet that rivals the Big Game; treat your friends to a cinematic experience; and challenge your friends and family to a virtual duel! 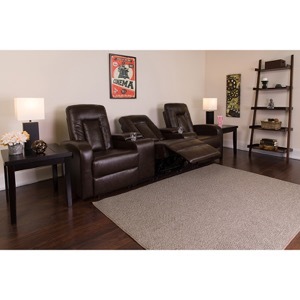 VQV Furniture Group offers contemporary home theater furniture, contemporary recliners, entertainment seating, home theater lounge, home theater lounges, living room tv furniture, modern contemporary living room, modern contemporary living rooms, modern contemporary recliners, modern home theater furniture. If you are looking for wholesale or commercial modern home theater seating, modern home theaters, modern living room sofa, modern living sofa, modern recliners, modern reclining sofa, modern theater seating, sofa lounges, theater room furniture, living room sale, living room sofas sale, interior design home theater, check out our Home Theater Seating category.